Image Analysis works to identify objects, landmarks and more in photos to help supplement your search results. Batterii Vision uses powerful machine learning models to understand the content of your images to provide you with predicted labels, objects, identified locations, and optical text recognition for handwritten notes. This additional data helps provide more accurate search results, even for items not reflected in titles and descriptions. The example (above) shows the Vision results from an image we uploaded. What can Batterii Vision detect? Where is Batterii Vision implemented? All images uploaded into Batterii are cycled through Vision to make searching a breeze. 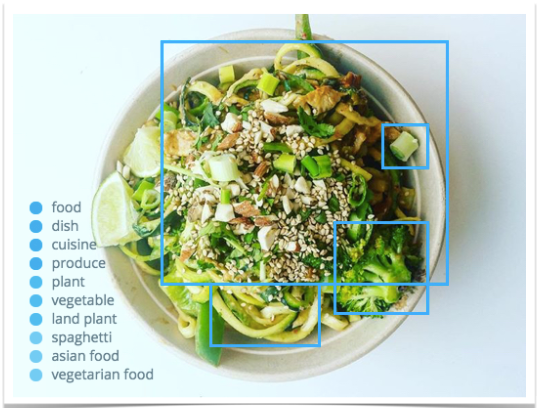 If you want to see specific results of what your image contained, just double-click the image on your wall and select "Image Analysis" at the bottom. An example of this is below. The most beneficial result of Batterii Vision is realized when you are searching for assets. Since all Vision results are associated with an image, you can search the room (or entire community) for the word "blue." 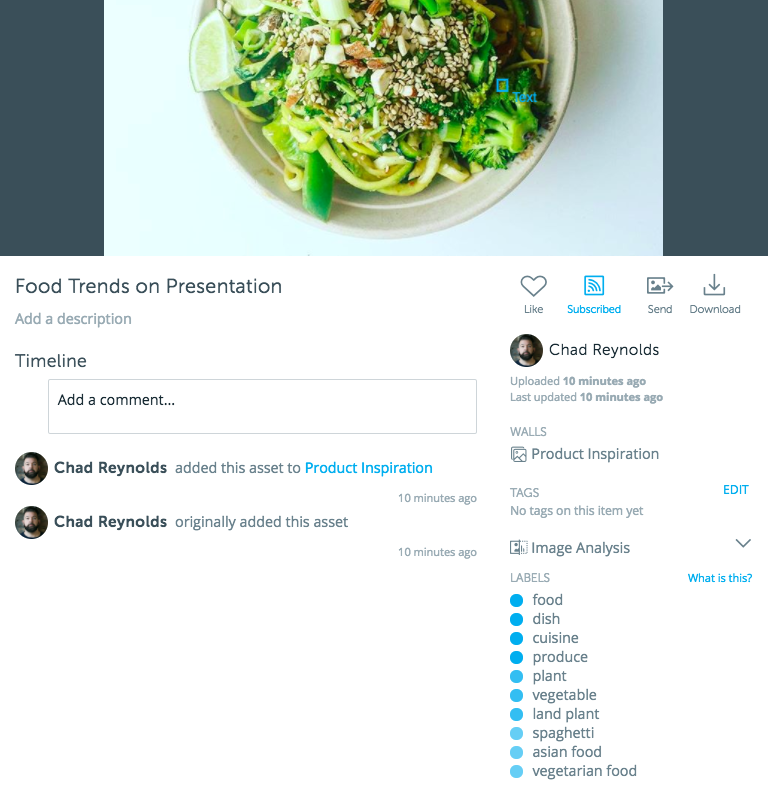 Your search results will include assets with the word "blue" in the title, description, tags, as well as images that have that color. See an example of this below. Batterii Vision is machine learning at its finest. The goal of Vision to to help you see things that might not be reflected as a title or description. We want to save you time and help find the images you are looking for. To start using Vision today, just try a search. Check out how to Search in a Room and how to Use your Search Results! *Batterii Vision is only available on the desktop app at this time.